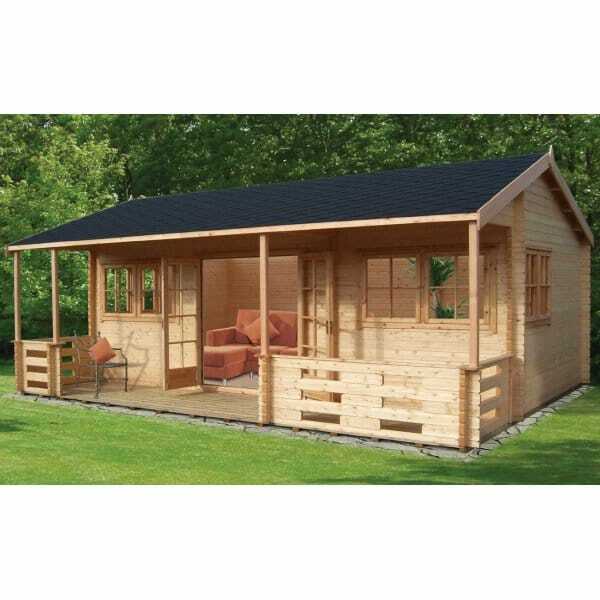 Shire Kingswood Log Cabin: The Shire Kingswood Log Cabin includes the integral veranda as shown. The Norland Kingswood Log Cabin style is a very attractive cabin in one large room, featuring a large glazed area a double door and 4 x double windows which open outwards. These log cabins feature a ridge height of 3.0m and really create a strong and very attractive focal point in the garden.